Our Chicago warehousing services can handle any type of freight and are equipped with cantilever racking to store metal and lumber type products. If for any reason you have any questions or comments about our Chicago warehousing services, feel free to give us a call at 630-206-1532 or fill out the form to the right and a representative will respond shortly. 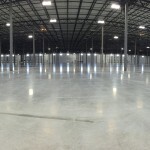 ITL’s Chicago warehousing facility is 212,000 Sq. Ft. and has 24/7 camera surveillance. The temperatures in our Chicago warehousing facility are consistent due to geothermal heating and cooling. We have you covered if you have freight coming into Chicago, Elwood, Joliet, or Wilmington. Our Chicago warehouse facility provides indoor flatbed loading and is located near the rail to help customers produce much faster and the most efficient way of transporting your goods. We offer long or short-term storage according to your needs. This Chicago warehousing facility is also a U.S. custom bonded freight station and we believe our expertise in warehousing and transportation can provide you with a one-stop shop. Our Chicago warehousing services is a major hub for all logistics operations. ITL’s public Chicago warehousing provides our customers numerous facilities to store product by making it very strategic in lowering transportation costs as well as lead times. You can take a better look at where we are located by visiting our locations page. Our Chicago Warehousing services are considerably more affordable compared to other facilities and ITL will work with you from start to finish for all your logistics needs. If for any reason you have any questions or comments about our Chicago warehousing services, feel free to fill out the form to the right and an associate will respond shortly or give us a call at 630-206-1532 to speak with a knowledgeable representative.